At Brandcast Health, we like to think that we are at the cutting edge of healthcare communications, and we are proud to be attending GIANT as a media partner. 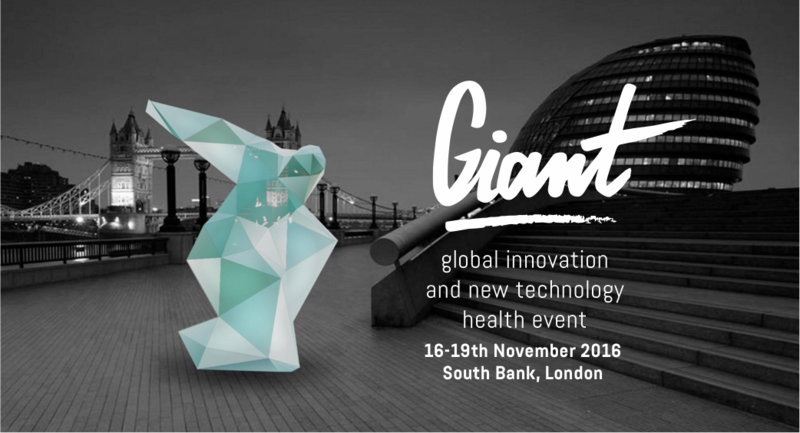 GIANT Health 2016 is an opportunity for health innovators, technologists, and industry experts to come together, to share ideas and to help bring healthcare into the 21st century. At Brandcast Health, we like to think that we are at the cutting edge of healthcare communications, and we are proud to be attending GIANT as a media partner. We will be broadcasting a selection of interviews with key speakers and other insights directly from the meeting, as well as actively taking part in the #Disruptive social conversations on #DigitalHealth at the #GiantHealthEvent. The event hopes to connect people, to create, encourage, and celebrate new ways of thinking, and to look to overcome some of the key challenges we face in managing the increasing burden of healthcare. It will run from 16th-18th November, and will include a combination of talks from leading experts and trade-show for emerging technologies. The general focus of the event is ‘innovation’, and the potential for improving healthcare in the digital age. We are particularly looking forward to the learning about disruptive new ideas. With a wide range of industry experts, both within and outside the traditional healthcare space, we expect to see unique and unconventional ideas being discussed, and for more traditional healthcare problems to be viewed from completely new perspectives. At Brandcast, we are developing our own innovative and disruptive content delivery platforms, designed to meet the needs of busy physicians who need rapid access to digestible, accessible content, and for patients who need access to trust-worthy and reliable information, and so we are delighted to be supporting and helping to promote other groups as they take on similarly disruptive challenges. We believe this event will provide a unique opportunity, the first of its kind in healthcare, to challenge convention and help move us towards the next generation of healthcare solutions. If your looking to challenge convention and a content partner to engage either HCP or patient communities, please contact Stephen Dunn or Charlie Grieve on +44 (0)20 7291 5070. We'd love to hear from you.